Annabelle Week 12: Surgery is set! BIGGEST news is that we have a surgery date for Annabelle’s Glenn. It is going to be Wednesday, October 20th. *gulp* which, incidentally, will be her 3-month birthday. 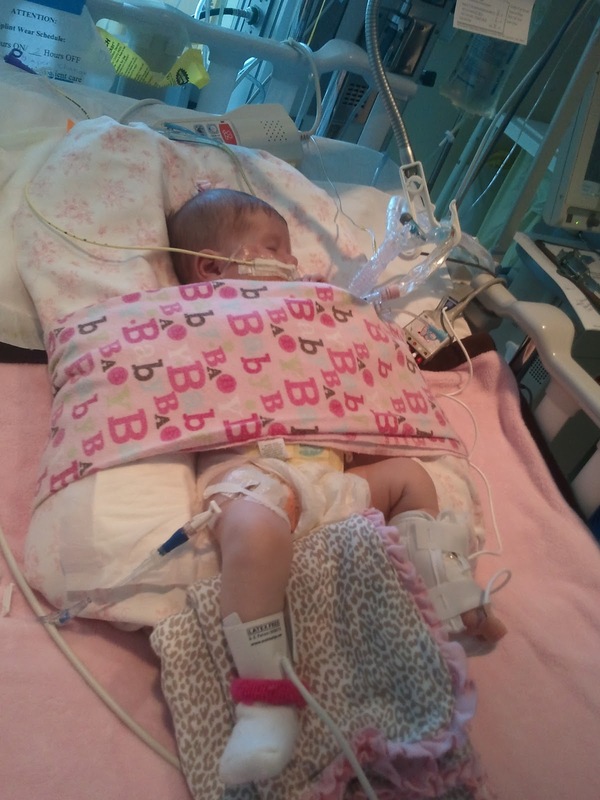 The consensus was that they wanted to give her a good week or two to gain weight before doing surgery, so this really isn’t that “early” now, although, the norm is 4-6 months of age. 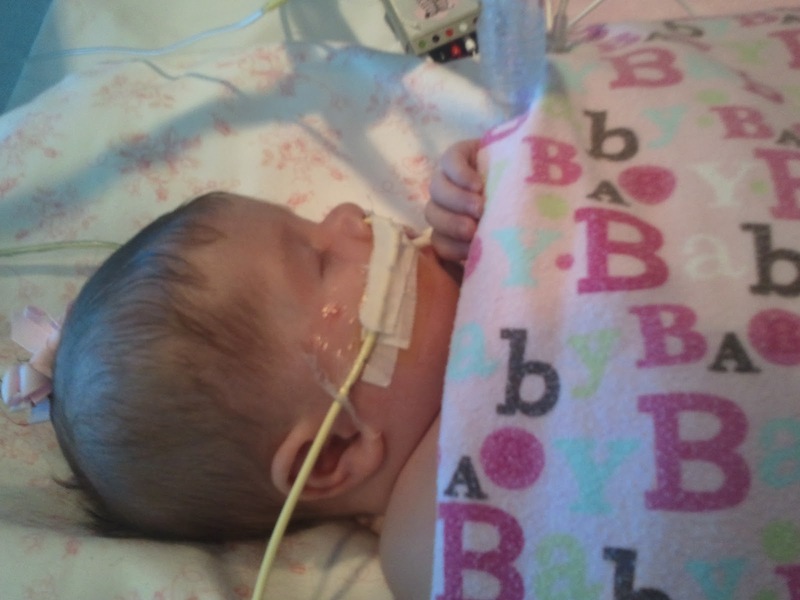 The frustrating part is that they are going to just keep her on the ventilator until then. Which means I’m still not holding my baby. *sigh* I know her health is much more important than the horrible ache in my arms to hold her, so I’m trying not to bemoan this too much even though it is so very, very hard. Plus, God knows the PERFECT time for her surgery. Who am I to question His timing, especially in something so very very important as this!?! Resting in His wonderfulness today. They decided to go ahead and wean her sedation from her drips to IV sedation (a step down) and so far she isn’t caring for it too well. We are struggling to keep her O2 stats where they need to be and she keeps getting agitated and either elevating her heart rate or dropping it too low–which, by the way, they call “Brady” episodes. I don’t think I’ll ever watch reruns of the Brady Bunch without cringing! While the nurses are pretty calm about handling it (for the most part…), Mommy on the other hand paces back and forth by her bedside until her numbers are back in normal range. She also just doesn’t seem as happy as before. I know, I know, would any of US be happy if we had 2 tubes down our nose and a big ole tube down our throat and were laying in a bed 24 hours a day? Probably not… but before she was at least sleeping and peaceful instead of having spurts of silent crying and the most saddest tears you’ve ever seen! I really think once she gets used to her *new* sedation this will go away. It’s just hard to see her going through it in the meantime. My mother-in-law, the sweet sweet lady who has stayed with us for the last 11 weeks to help take care of my other children, had a birthday yesterday!! We went out to dinner, then came back to the hospital for Dairy Queen Ice Cream Cake, then took a break and went to the Grand Ole’ Opry. Among the oldies but goodies, Trace Adkins, Taylor Swift, and Dolly Parton all performed. Even though it was a VERY VERY late night and thoroughly exhausting… it was still fun! Today, they are headed back to North Carolina. So Scott and I are on our own this next week! I think it will be a good thing all the way around, as my mother-in-law is in great need of a break, and my husband and I need to get used to handling this on our own as well. It will only be a short taste of it though, as they are coming back next Monday so they can be here for Annabelle’s 2nd surgery. You can all probably audibly hear my sigh of relief and thanks. Prayers that this week goes well and is uneventful is VERY MUCH appreciated!!! We also had a nice visitor at the hospital this week! 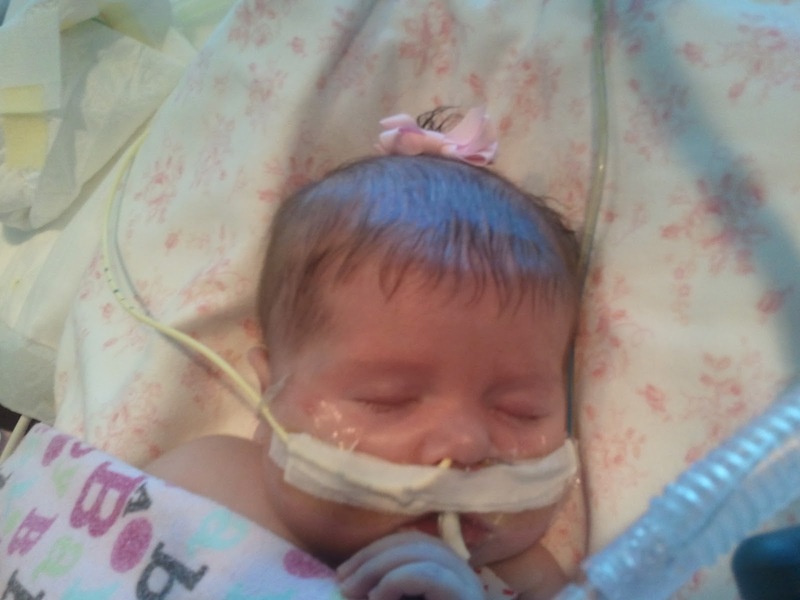 Baby Bowen has a similar condition and is at a hospital up in Ann Arbor Michigan. His daddy, Matt Hammitt, was in town this last week for rehearsal and stopped by to see Annabelle! It was so very sweet of him, and nice to meet and talk with yet another parent struggling with similar issues, although I obviously wish it wasn’t under such circumstances. We found that neither of us have a love for the wonderful CPAP machine and both agree on the usefulness of trips to the water cooler… inside joke:-) You can read about baby Bowen’s heart journey at www.bowensheart.com. Prayers for Bowen’s blood sugar and for Matt as he travels away from his family this weekend are appreciated! Dolly Parton at the Grand Ole’ Opry. Bowen’s Daddy and Annabelle’s Mommy, and of course, Annabelle!! Annabelle with her cute outfit, shoes, and “no-no’s.” She was pulling at her tubes and the normal blanket wasn’t working. She really thinks those no-no’s are the pits! Poor thing looks like she has broken arms on top of everything! Annabelle this morning! She is growing! She’s scooched down more than normal, so she looks REALLY long… but I DO think she’s starting to throw some more! WOOHOO!! A profile shot. Oh my, I love this little girl! Yes I do!!! Krista, thanks for sharing this update. I'm glad to hear the Glenn has been scheduled and hope Annabelle puts on the weight they'd like to see before the big day. How wonderful it must have been to have your mother-in-love there to help these past weeks. I hope things go smoothly in her absence. I'm glad you were able to visit the Grand Ole Opry and help your m-i-l celebrate her birthday. It's important to take care of yourselves and get some much-needed breaks so you can be there for Annabelle. What a neat chance to celebrate your MIL's birthday. My heart squeezes whenever I see your pictures…I can't imagine what your "mommy's heart" is feeling like. Oh, Krista, I am following these blogs with interest and with a mother's heart. You have so blessed me with your posts and your willingness to allow me to pray for your family. I've been praying, Krista, and won't stop! I love the pictures, but I hate the no-no's! Charlotte is a thumb-sucker, and they put one of those on her arm after a cath once and she couldn't get to her thumb. I was as mad as a wet hen. We all but tattooed her right arm before her Glenn so everyone would know to put lines and what-not in the other arm. I am sorry you have to wait so long to hold Annabelle, but I am glad they set a date. You all are in my prayers. She is so so precious. Praying for the best for you and your family.